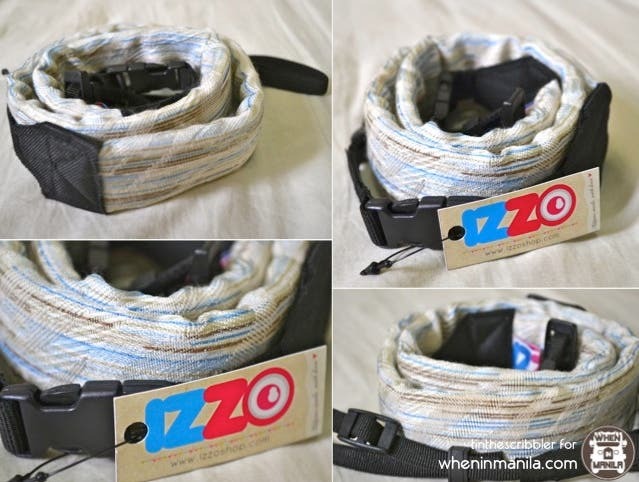 When In Manila, and looking for handy bags and holders to better organize your things while traveling, IZZO SHOP is the perfect online shop for you. Izzo Shop is a “Home of cozy caves for your gadgets and other pretty things.” Izzo Shop has been in the market for quite some time for good a reason, because it is an original Pinoy product. Wouldn’t you like your things put inside these eye-catching holders? Izzo Shop sprung up for its owner’s love for photography. From then on she decided to create stylish accessories to go with her cameras, and eventually, with other gadgets. I’ve been eyeing Izzo Shop ‘s products for a long time and what I really love about their items is that they’re all creatively and flawlessly constructed. The designs and prints are well-thought of. They’re simplistic and very trendy. This passport holder and mini purse from Izzo Shop are perfect for travelling. It keeps your passport protected and your cash safe. It fits your instax cameras, point-and-shoot cameras and instant cameras perfectly! Izzo Shop uses water repellant material for their camera bags. It also uses foam to cushion the gadgets and further protect them inside the bag. I personally love the fact that I can adjust the division of the bag according to what I’ll put inside. It makes the product more versatile. It uses drawstring to close the whole thing, making it look extra neat. Don’t they all look so organized? My favorite product from Izzo Shop would have to be their messenger camera bags. Izzo Shop now offers bags for everyday use such as sling bags, satchels, carry-alls, etc. that come in different prints and colors. This bag can fit both my cameras and chargers. It’s very spacious! It fits my DSLR as well. No need to bring the plain and bulky camera bags. Of course if Izzo Shop has camera bags then they also have camera straps. They come in fun prints too! There are more things from Izzo Shop that will definitely be useful to your travels and regular days. They have pouches for accessories, colorful folders to hold important documents, travel bags, laptop bags and even washi tapes! All items come in different prints and refreshing colors! WHEN IN MANILA, YOU CAN ALSO GET FREE IZZO SHOP ITEMS BY JOINING THIS GIVEAWAY! CONGRATULATIONS CECILLE CAPATAN! YPU WON THIS GIVEAWAY! Tin Advincula is a writer of all things under the sun. You can also read her articles/blog posts at Meg magazine and tinadvincula.wordpress.com. She is passionate about food, fashion, beauty, dance, and travel Follow her on Twitter and Instagram @tinadvincula_ for her daily scribbles on life.